If you'd like to learn more about designing and solving optimization and/or simulation models for practical business problems or using data mining, one of your best resources is a textbook aimed at current MBA students. Frontline Systems has worked with the authors of more than a dozen management science textbooks -- on these pages, we'll tell you about some of our favorite choices. 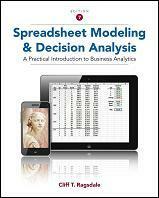 For Optimization and Simulation, we especially recommend the new 8th Edition of Cliff Ragsdale’s textbook Spreadsheet Modeling and Decision Analysis, and the new 5th Edition of Powell & Baker’s book Management Science: The Art of Modeling with Spreadsheets. These textbooks use Analytic Solver Platform throughout. 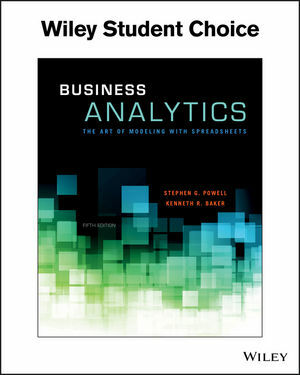 These are recognized around the world as leading textbooks on business analytics including data mining, optimization and simulation. 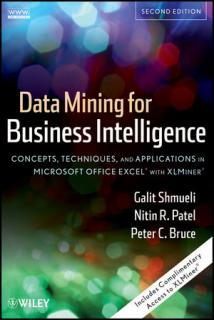 For Data Mining, we especially recommend the new 3rd edition of Data Mining for Business Analytics, by Shmueli, Patel, and Bruce, which uses XLMiner throughout. This is the leading textbook for learning data mining and is used in more than 120 countries. If you are an author of a book using our tools, or a method we use, and would like us to list your book as a resource on our site, please contact us at support@solver.com.